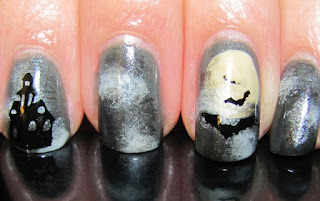 It's time again for my year in review of my favorite manicures of this year. I have to say, I have done a few I really like, but for myself, I think I've kind of slacked this year. I haven't posted as much as I should have. I feel like I have had to do more "quick fix" manicures and, honestly, it's hard to continue to be creative. I am probably speaking out of the tiredness that comes with the end of the holiday season. My new job has changed my time table and energy to devote to posting. Don't get me wrong, nails are still a love of mine and I am dedicated to continue to use these ten fingers as my mini canvases to have fun on and share with others. I am going to continue to do my best and that is all I can expect for myself. So here is a look back on my favorite of the year. They may not all be the most creative, difficult or inspirational, but they are the ones that make me smile. As always, click on the link for more pictures and for the original post. 10. Mermaid: You know glitter is my go-to. This one was the right combination of duochrome, shine and girly perfection. 9. 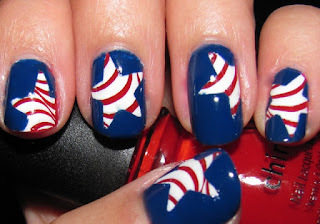 Spangled Stars: It was fun to find the stripe design under the solid color. 8. 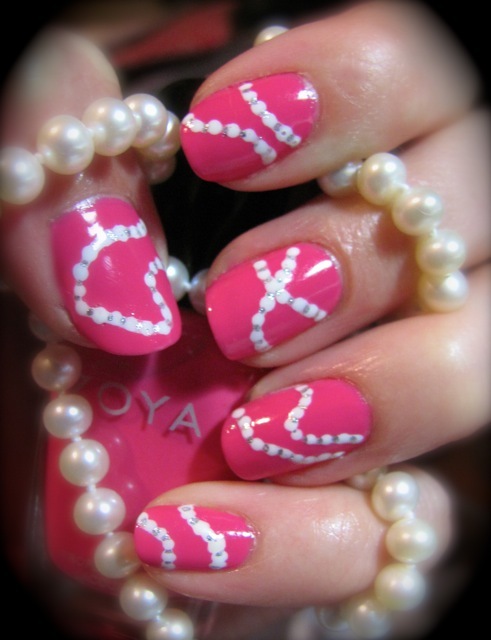 String Of Pearls: I liked that this manicure was just a quick inspiration that turned out to be a pretty design. 7. Satin Flowers: This was one of my best use of stamps. 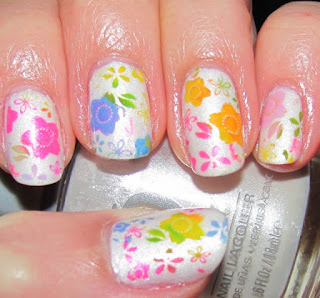 I love the multi-colors in the stamp. 6. 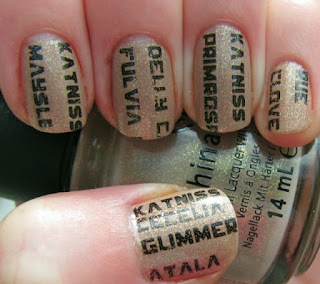 And May The Odds Be Ever In Your Favor: First, love Hunger Games. This was so fun to find names, make some up and have my own reaping. 5. 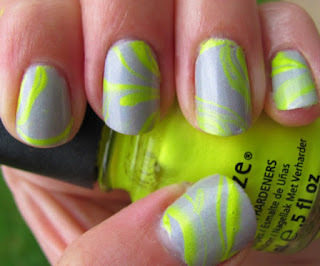 Hint of Lemon: I really slacked on the water marbling this year. Love the highlighter pop! 4. Holiday Lights vs Winterscape: It's a tie. I don't want to put two holiday manicures as separate numbers, so I'm putting them together. 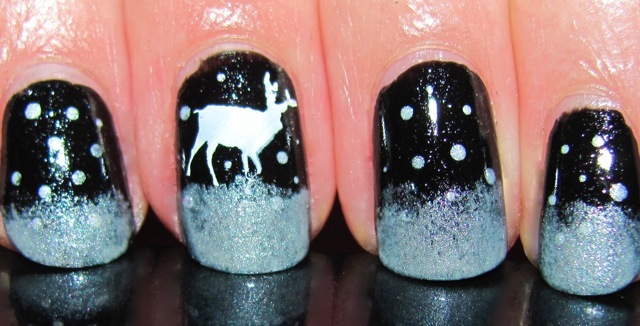 Of my holiday manicures these were my fave. 3. Halloween Night: I was obviously into scenes on my nails this year. This was so fun and creepy for Halloween. 2. 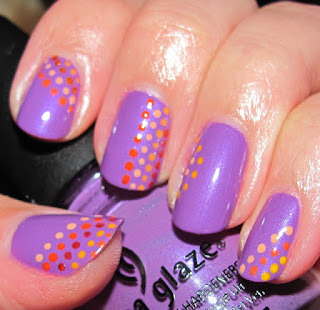 Dots The Best: Super simple, very pretty. Loved the contrast in colors. 1. 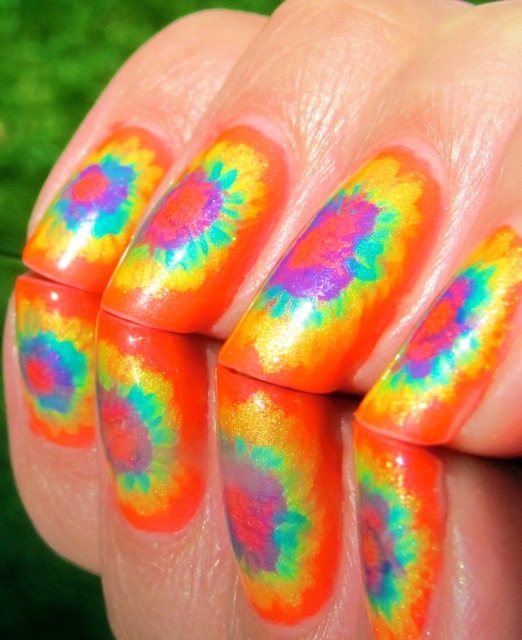 Tye Dye: Just a perfect summer manicure. Bright, fun and totally me! 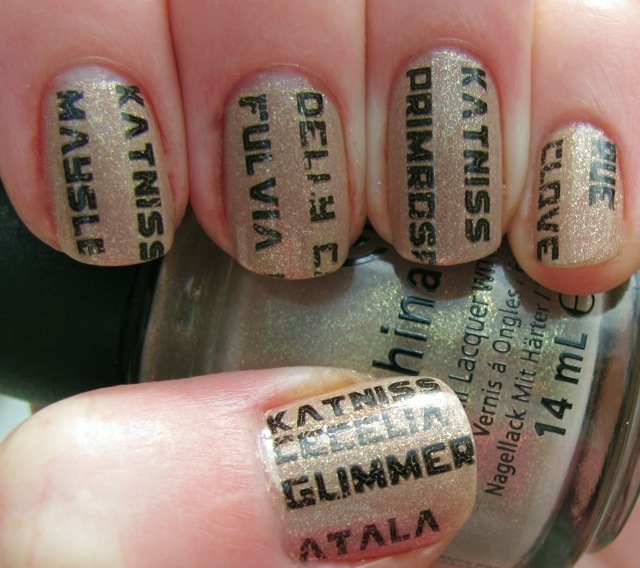 When I was showing my students your site before break, they literally gasped when we looked at the Hunger Games mani - so so so so amazing.